Here are some of the important milestones from the ephemeral messaging app's first three years. 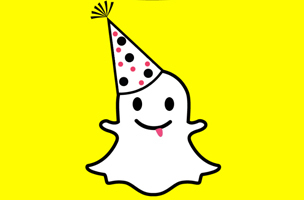 Happy Birthday Snapchat! The ephemeral messaging app turns three today. Since its founding in 2011, the platform has gained over 70 million monthly users, with 400 million snaps being sent per day. Snapchat has come a long way since it first launched. It rejected a $3 billion acquisition offer from Facebook, dealt with some serious security issues and earned the envy of other social networking sites. Now, it’s home to its own stars, with brands and publishers flocking to the app. Content companies aren’t the only ones heading to Snapchat — the still-young platform has attracted top talent from Google and Facebook.